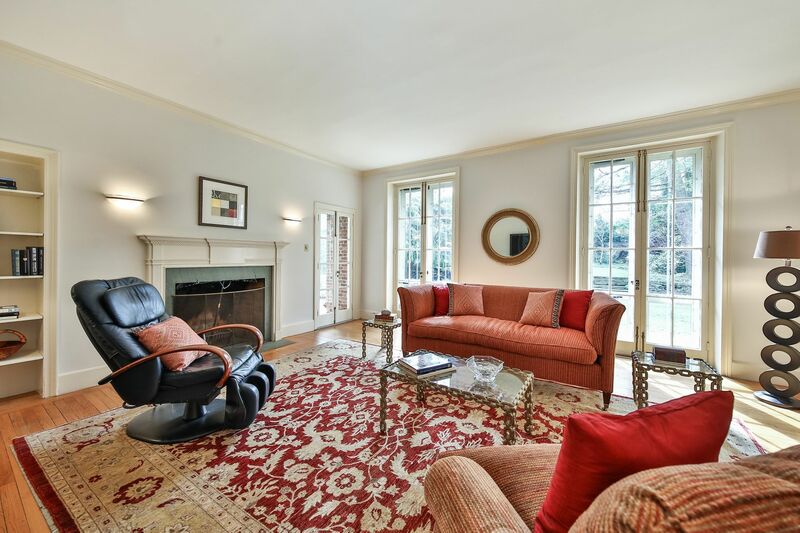 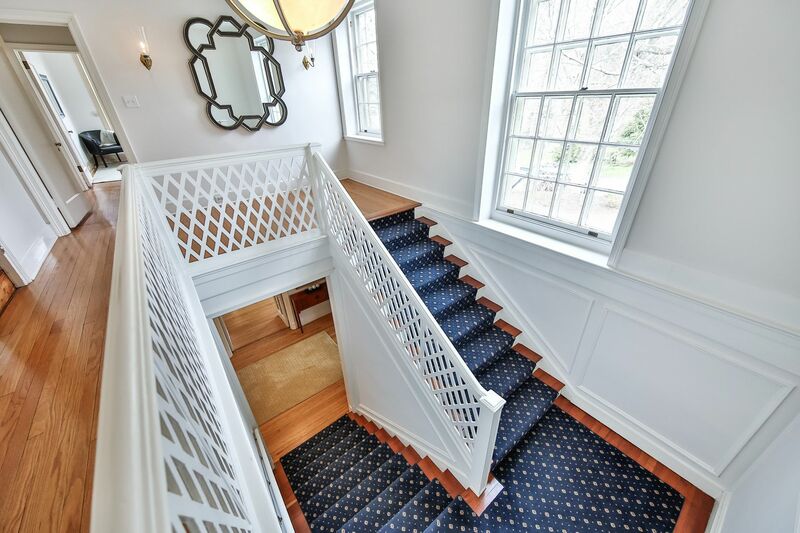 For those who appreciate timeless, traditional elegance, the Harrington House combines a classic, refined approach to living with all of the conveniences of modern life. 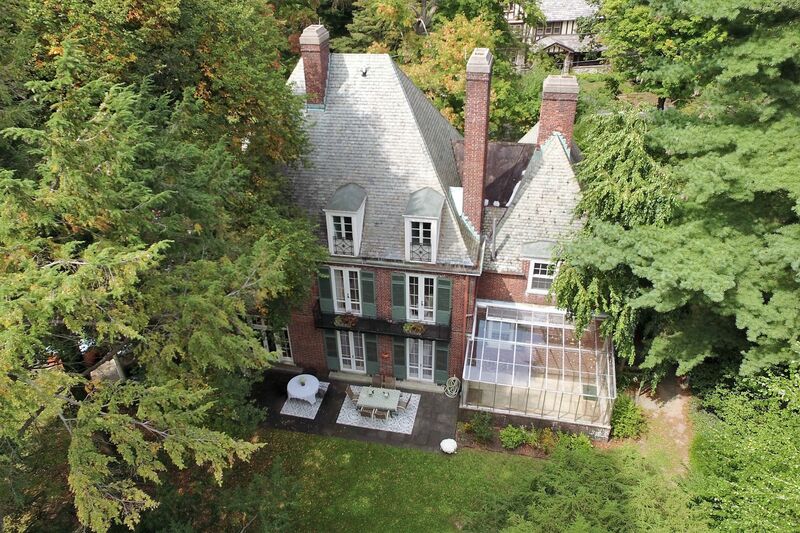 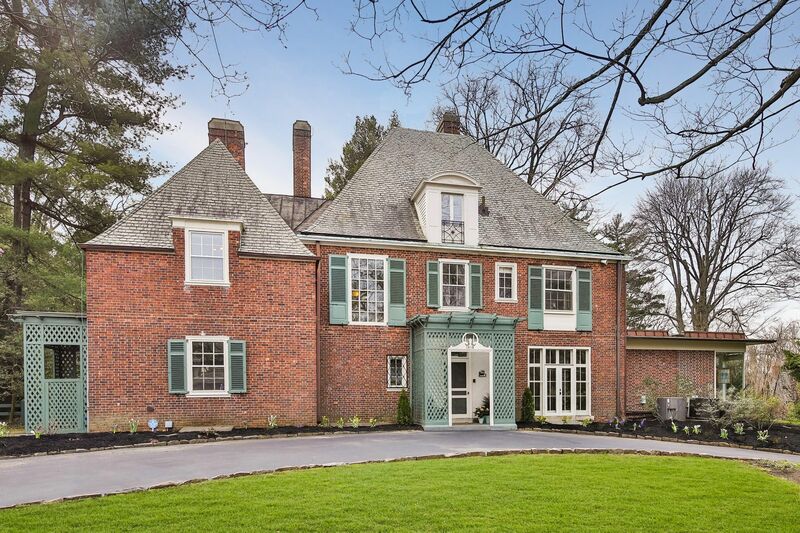 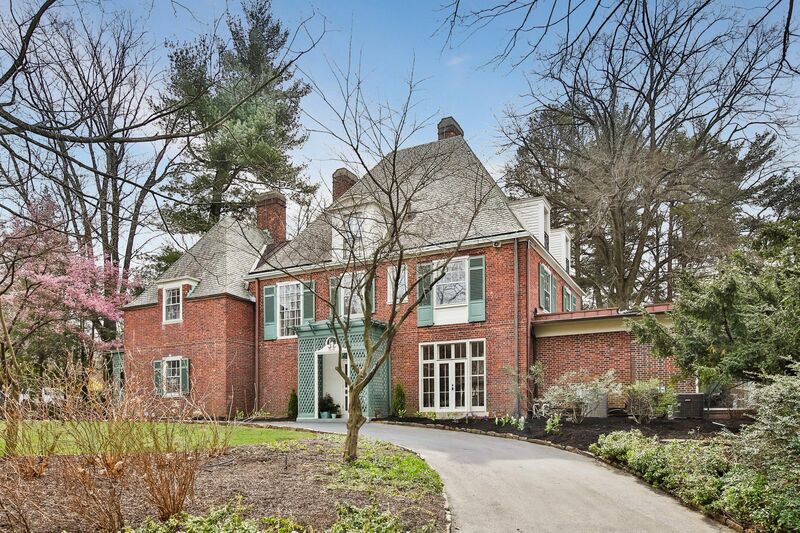 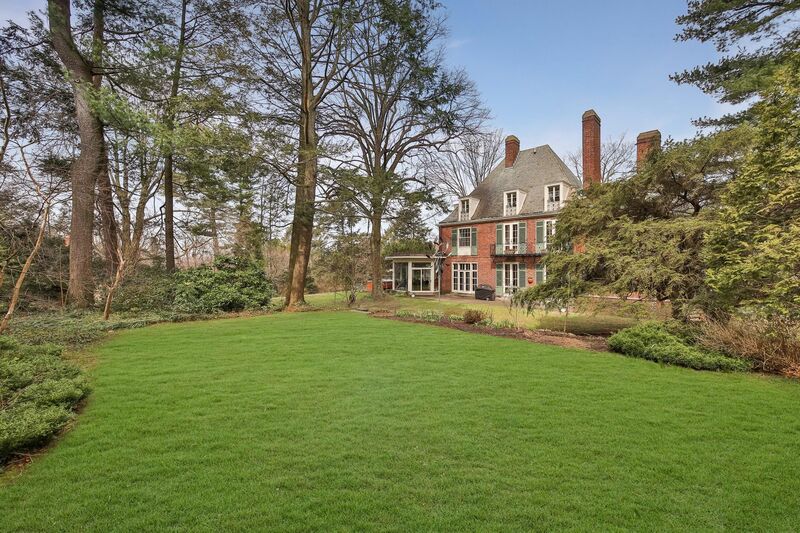 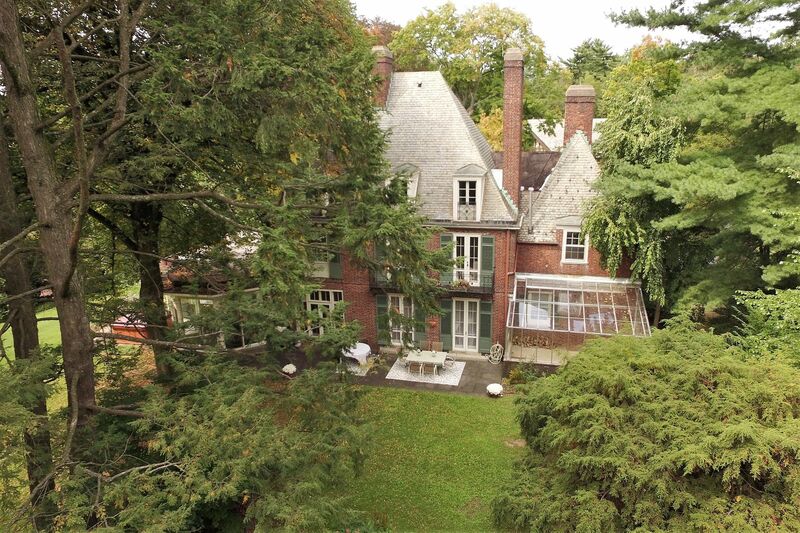 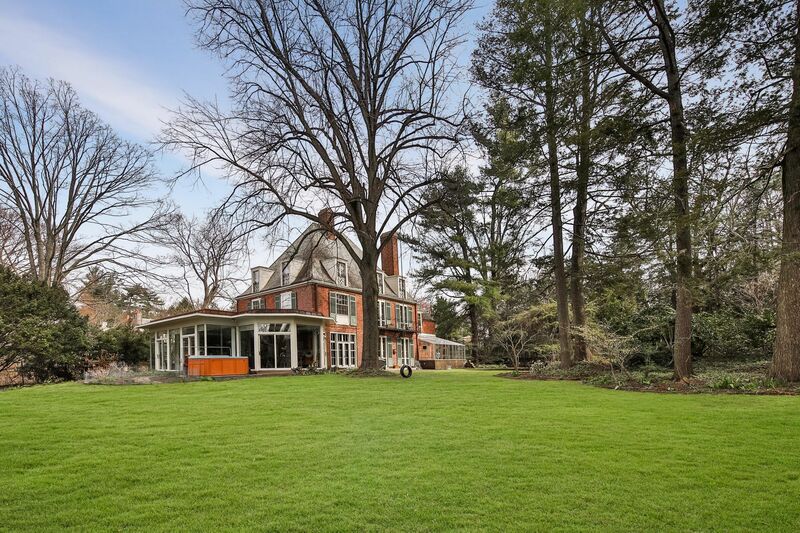 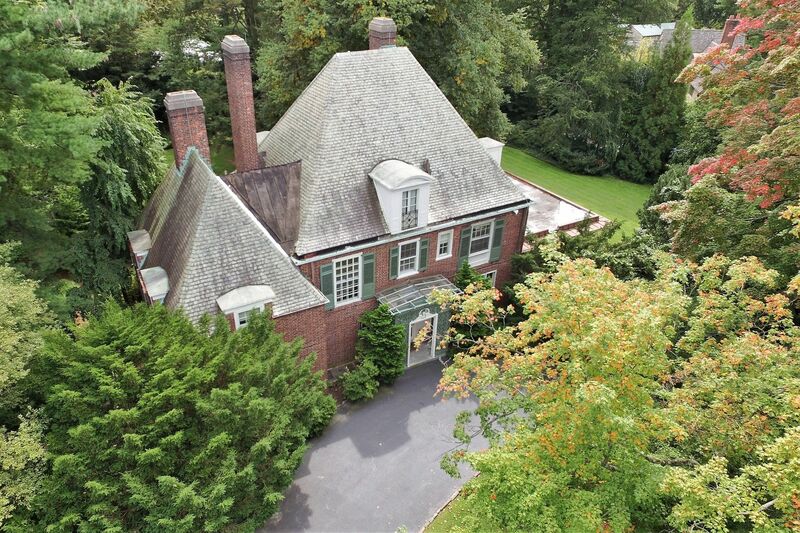 Nestled in the Wissahickon, this stately manor home, designed by renowned local architect Edmund B. Gilchrist, has retained the beautiful original details like the slate roof and four marble wood burning fireplaces, but has been updated with more modern features such as a central air and an electric car charging station in the circular drive. 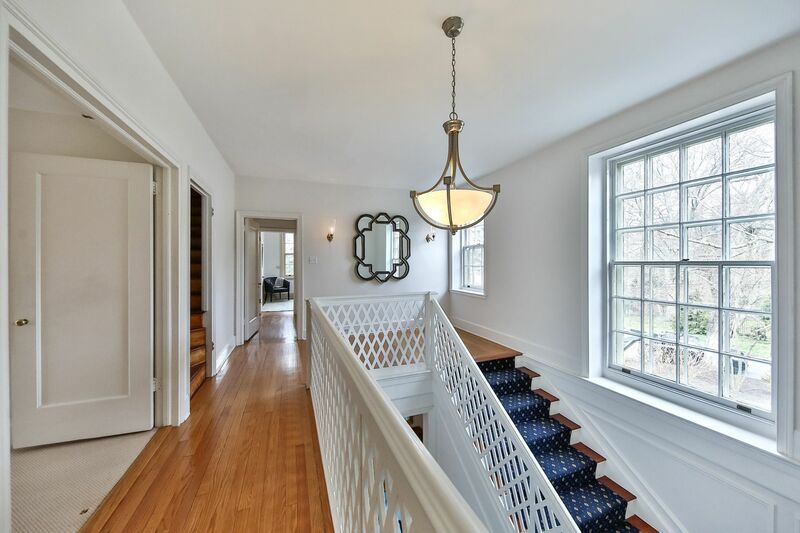 The first floor begins with the foyer (and powder room) which leads to the formal living room that also provides entry to the adjacent green house. 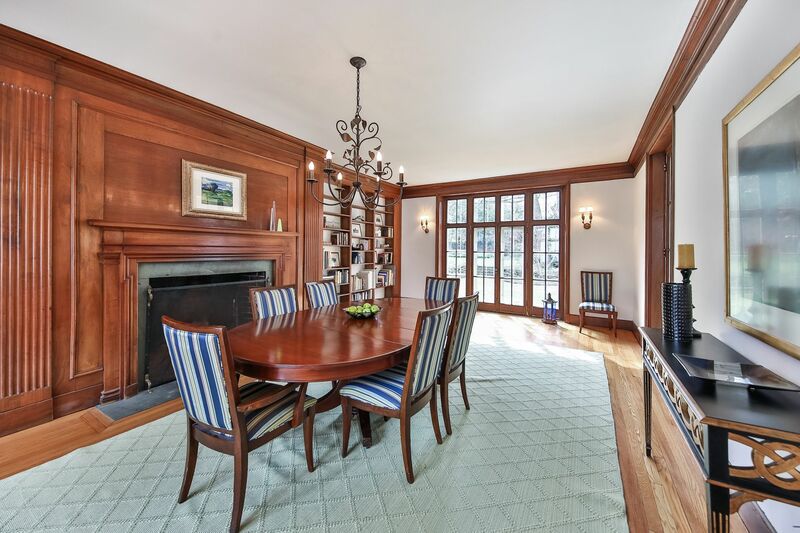 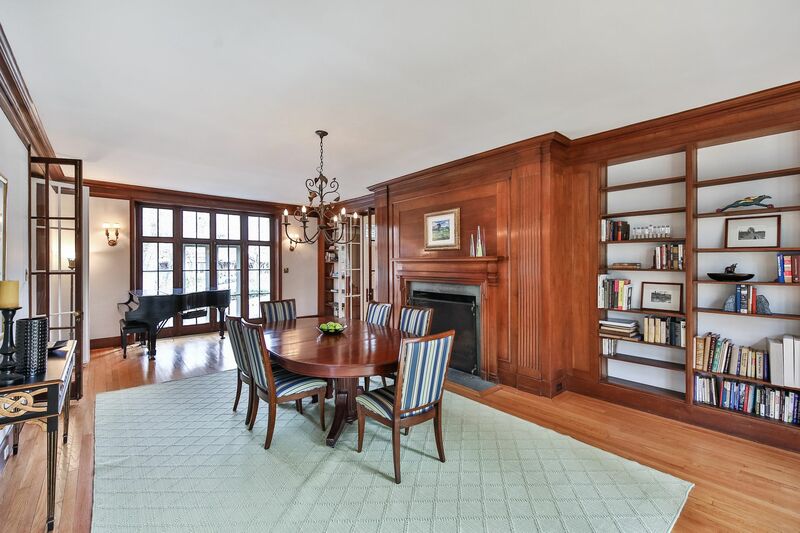 The formal dining room features a fireplace surrounded by custom built–in shelving. 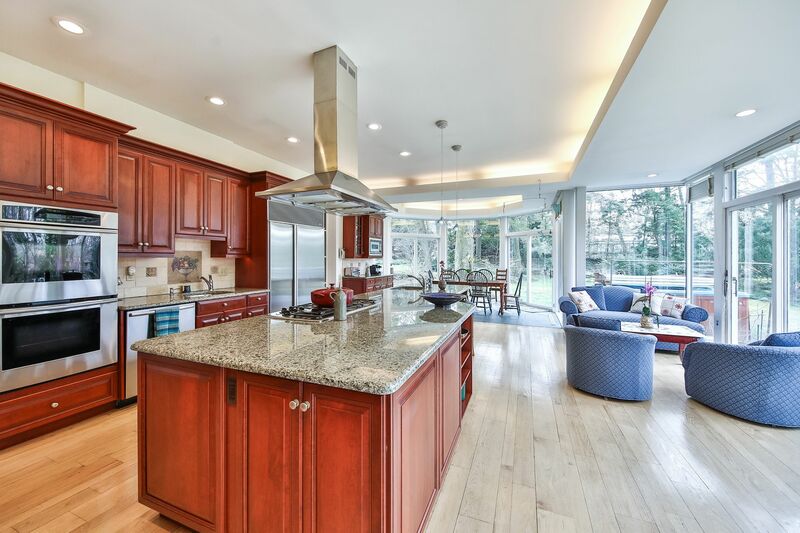 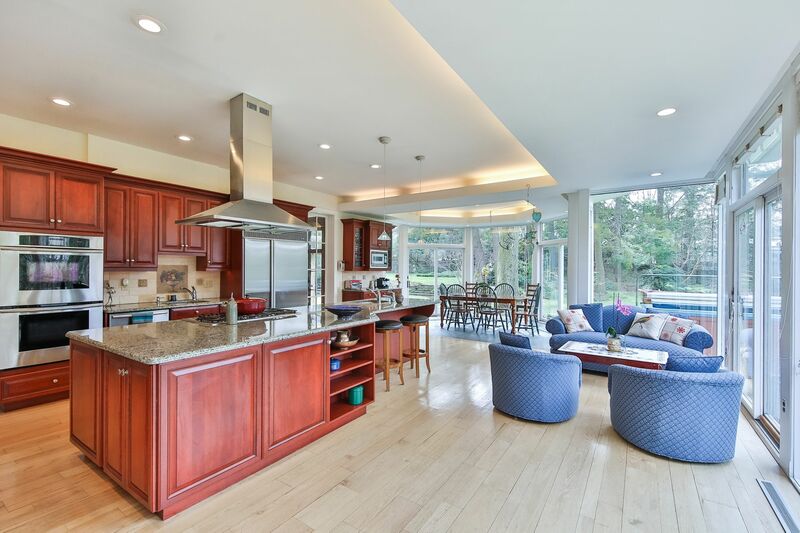 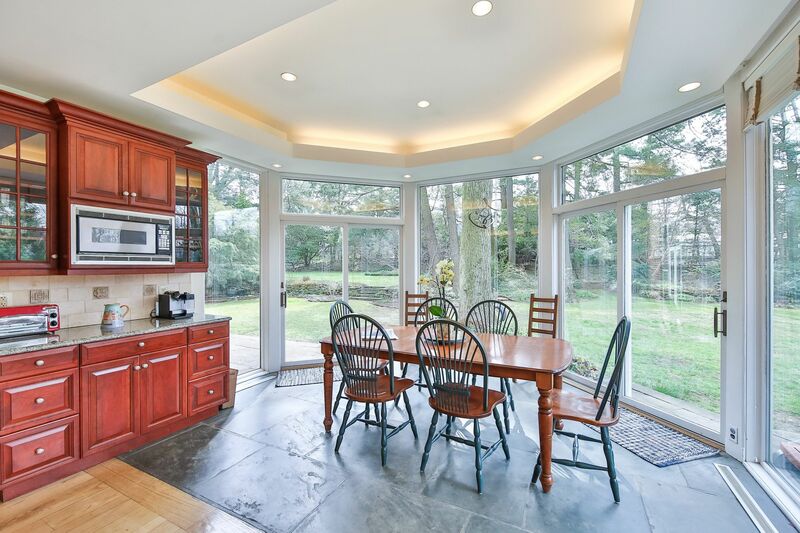 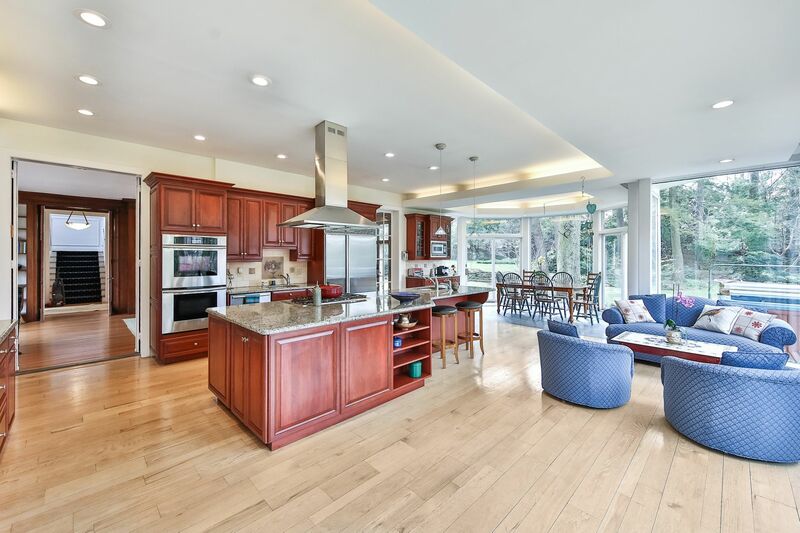 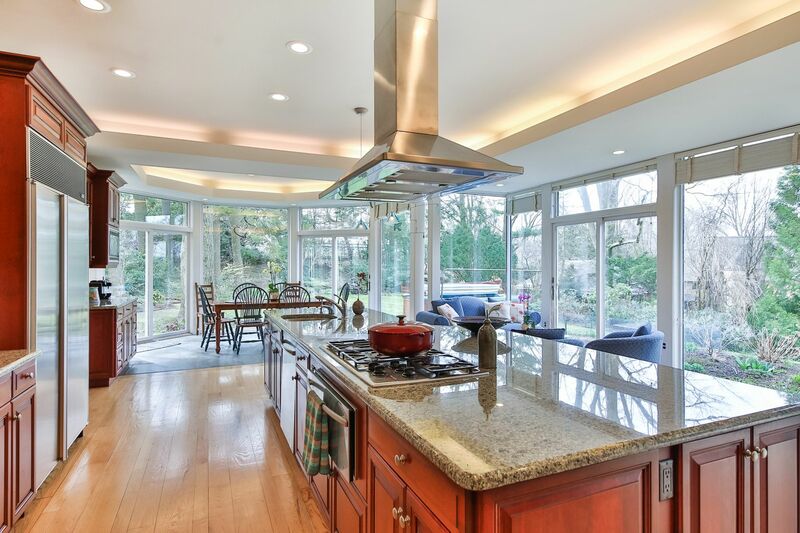 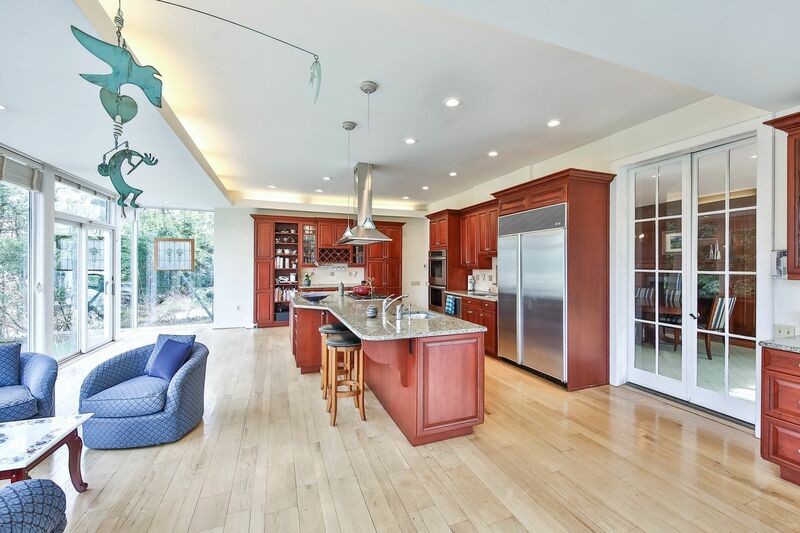 Two sets of French doors open to the solarium kitchen and breakfast area that are accommodating enough to create a family center appropriate for any occasion. 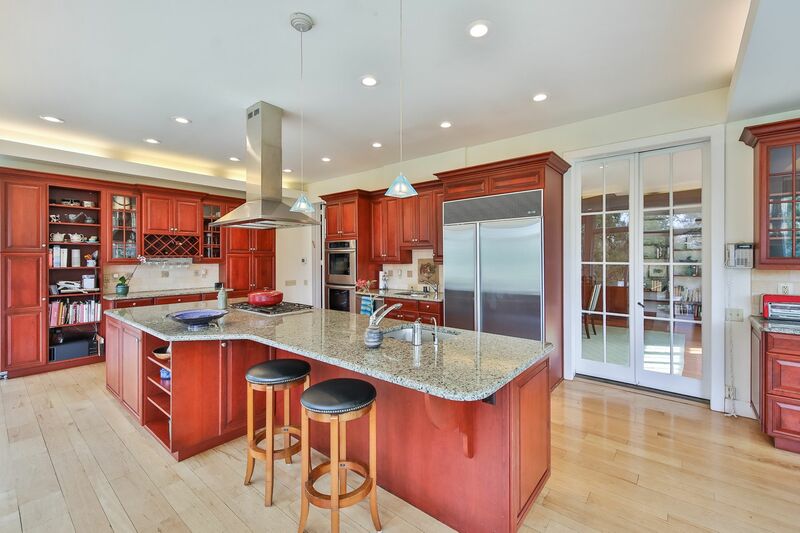 The gourmet kosher kitchen with custom cabinetry, granite counter tops, center island, and premium stainless steel appliances. 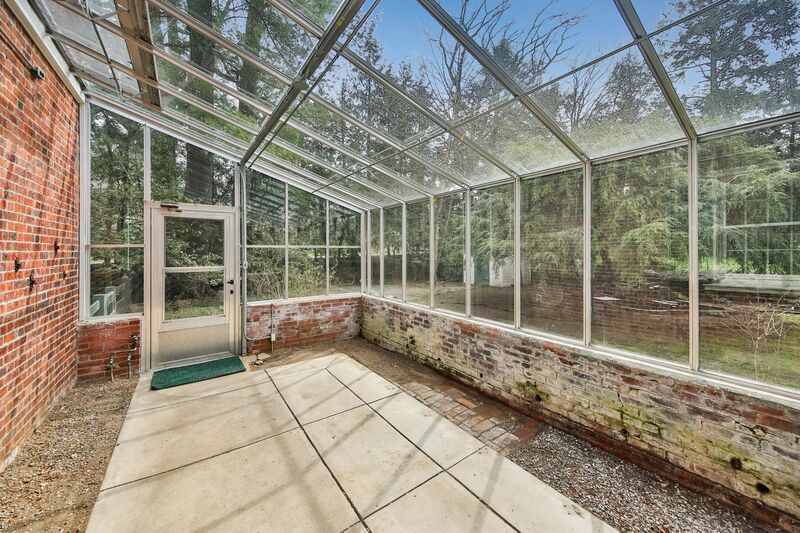 The multiple sliding doors alternately lead to the hot tub, the flagstone terrace, or the planting garden. 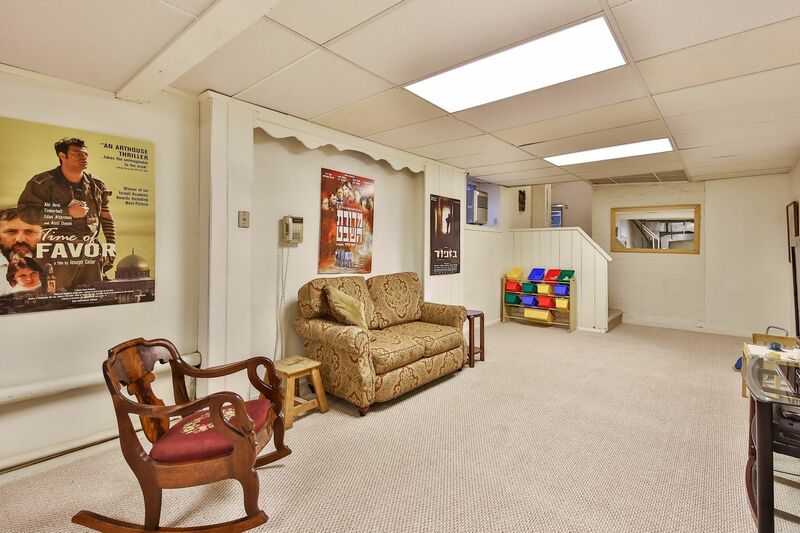 The left wing of the first floor includes an office with a private entrance, a bonus room, and a laundry room. 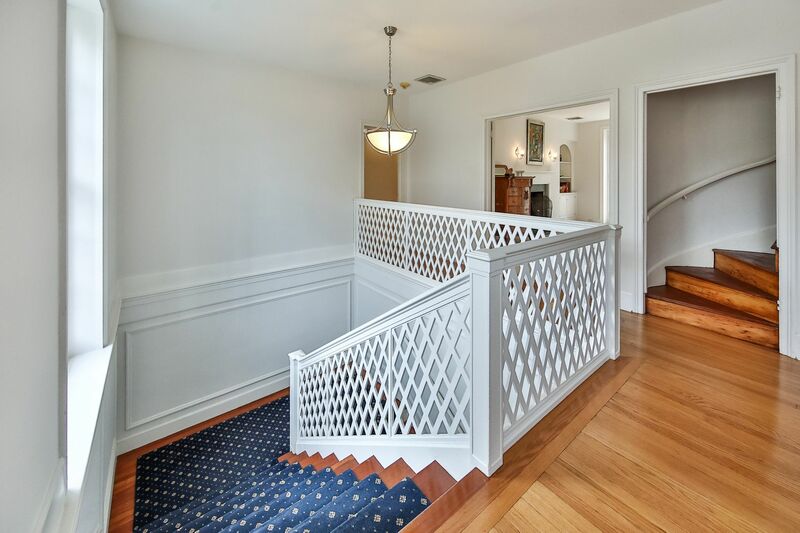 The staircase to the second floor continues the lattice design and leads to two large bedrooms and another full bath. 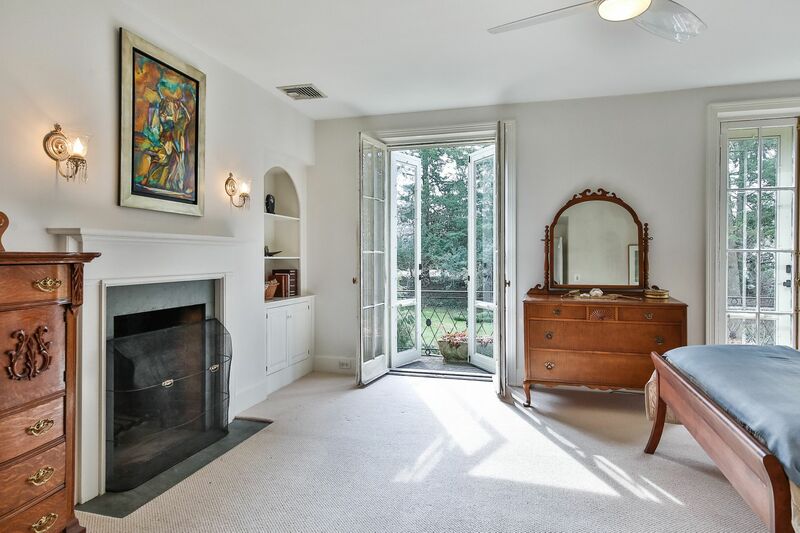 The owner’s suite takes center stage with a fireplace, built-ins, and double French doors opening on to a wrought iron walkway. 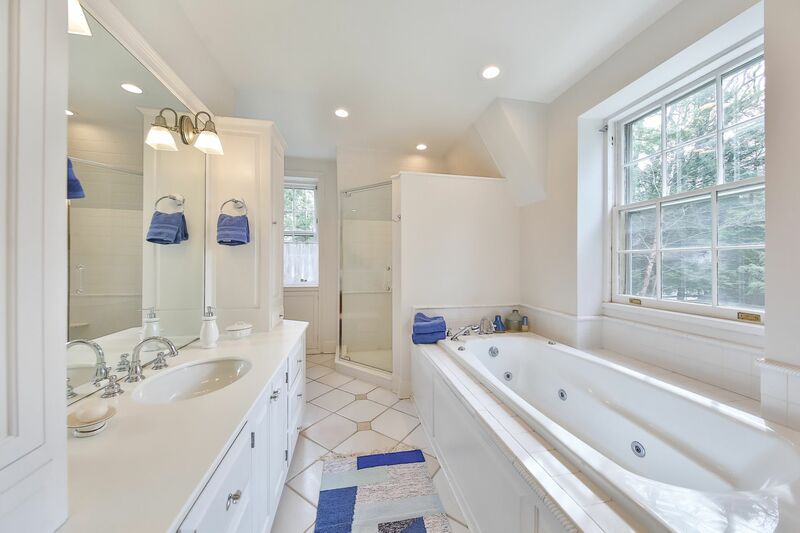 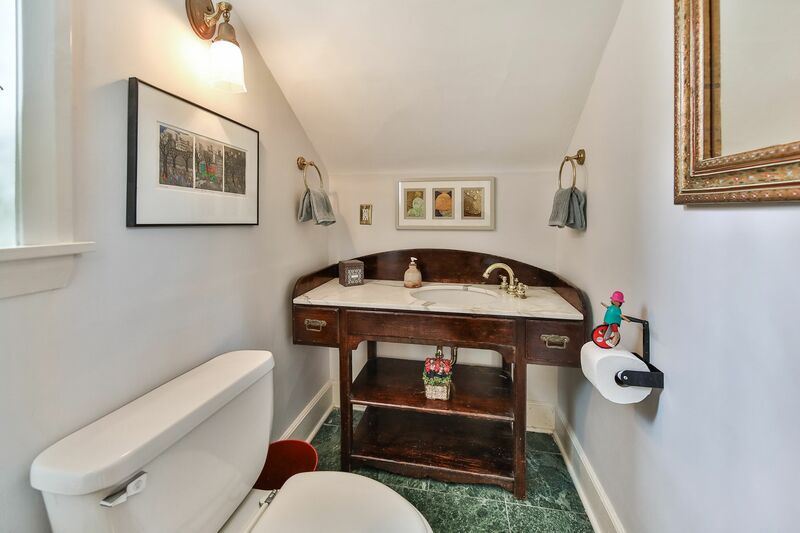 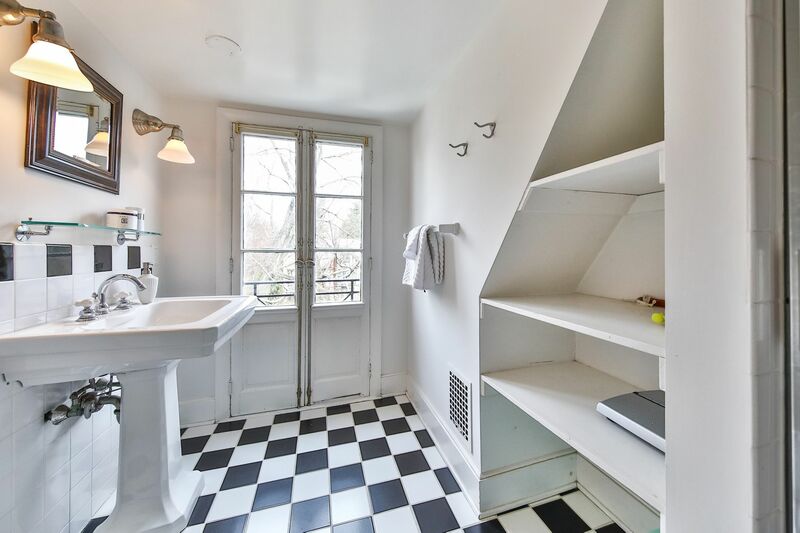 The en suite bath features a whirlpool tub, an oversized shower with dual shower heads, an expanded sink area surrounded by custom built-ins, and a vanity area. 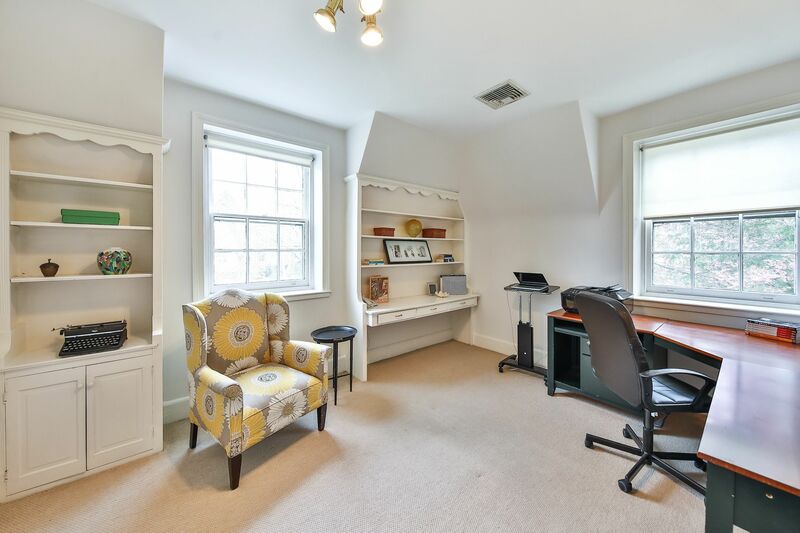 The suite is rounded out with a walk-in closet and comfortable office/sitting area. 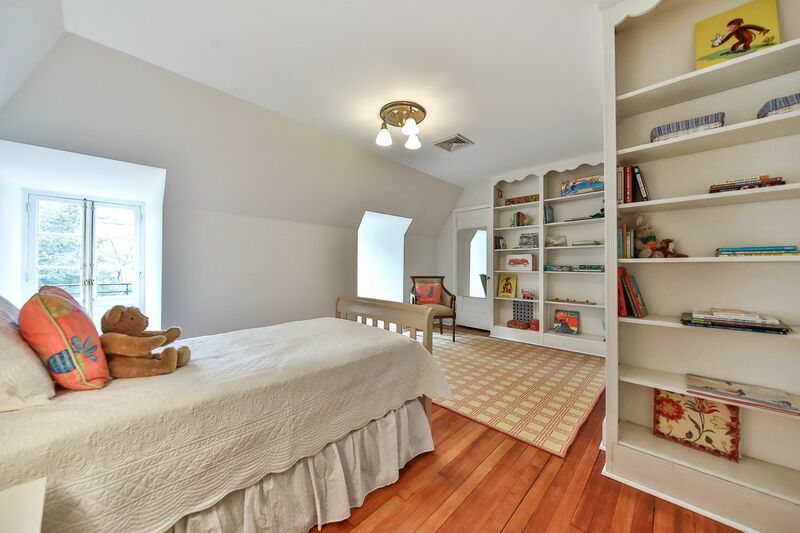 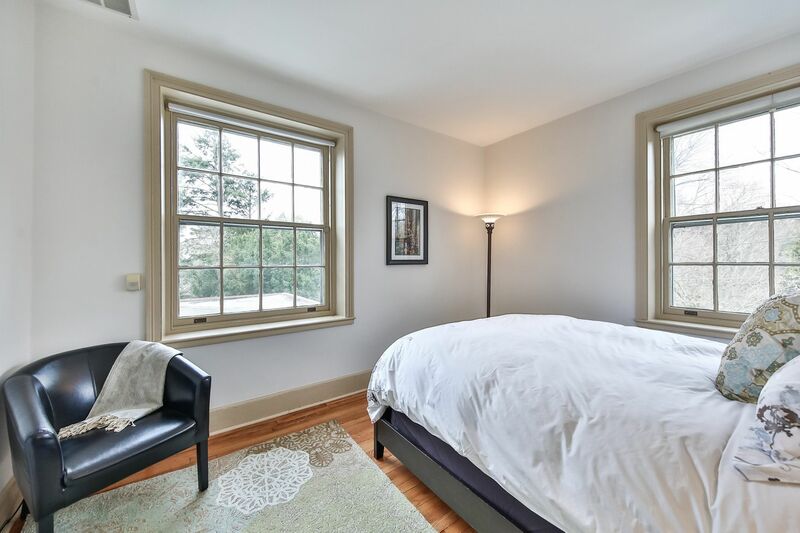 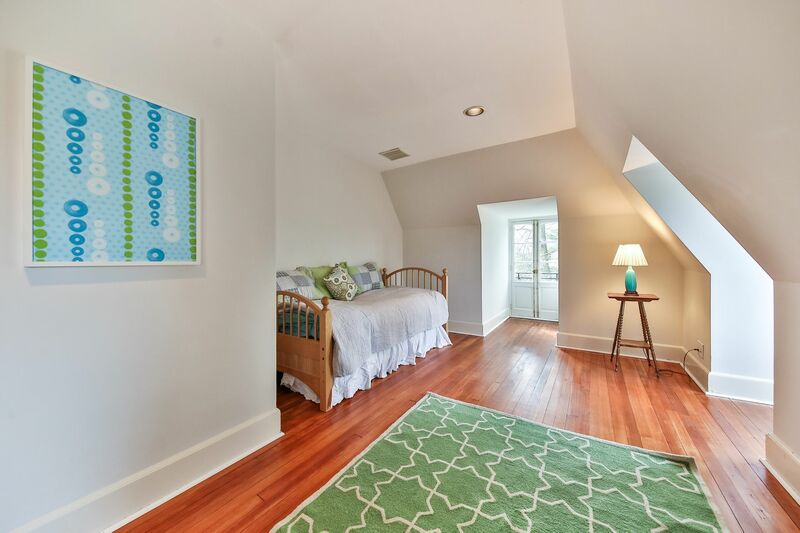 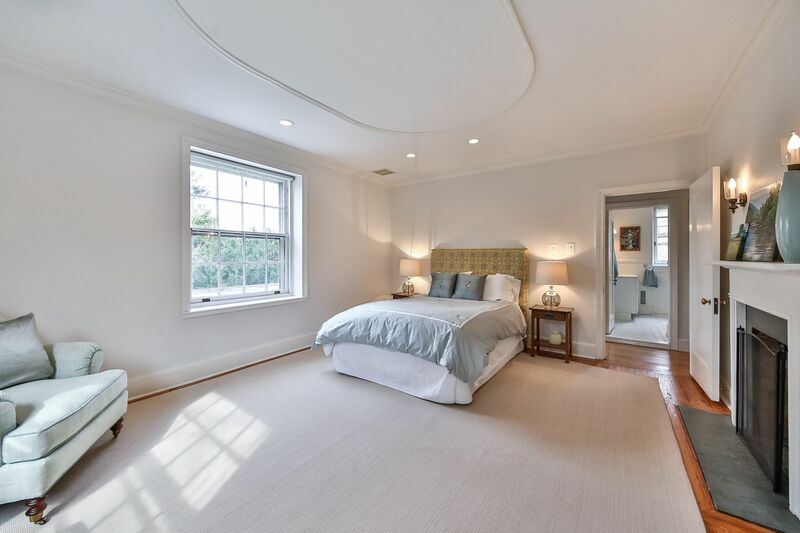 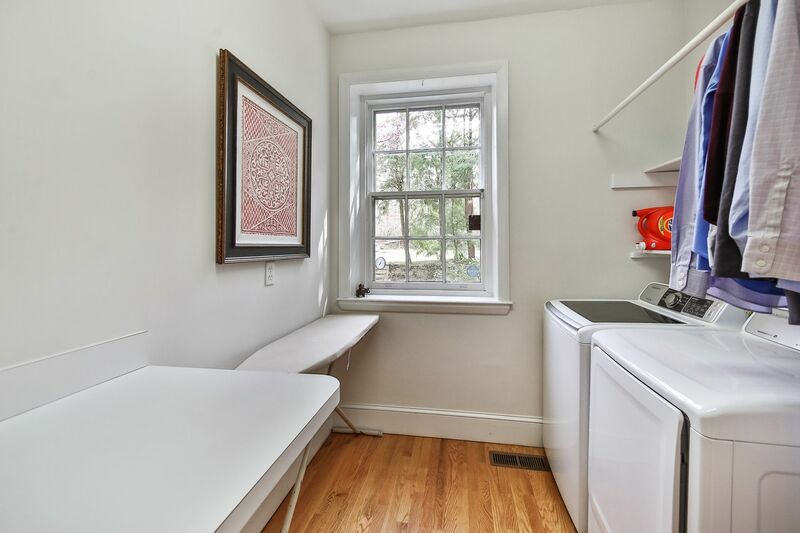 The third floor has two additional large bedrooms and another full bath plus ample storage space. 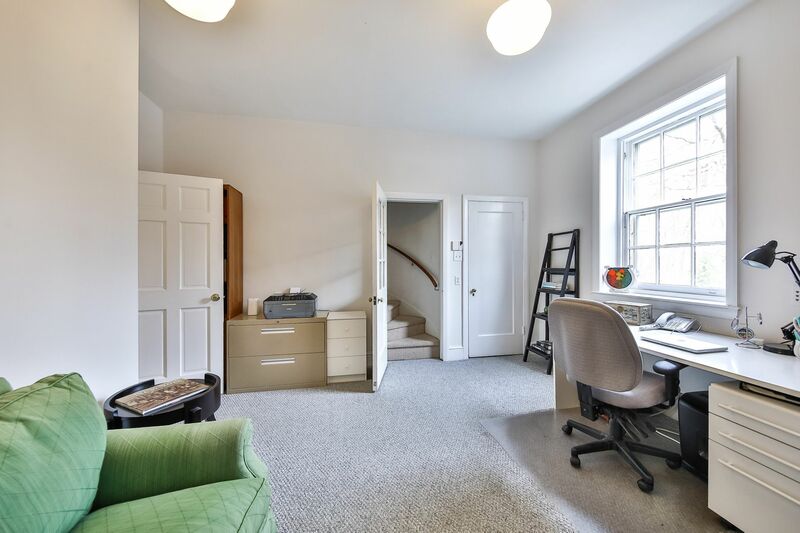 The spacious lower level features newly installed carpeting in the family area, storage space, a work area, a small powder room, and a fireproof safe. 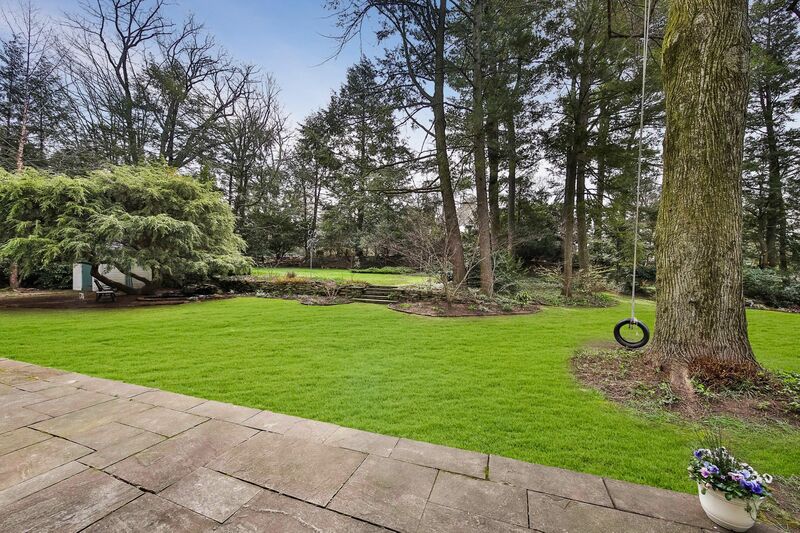 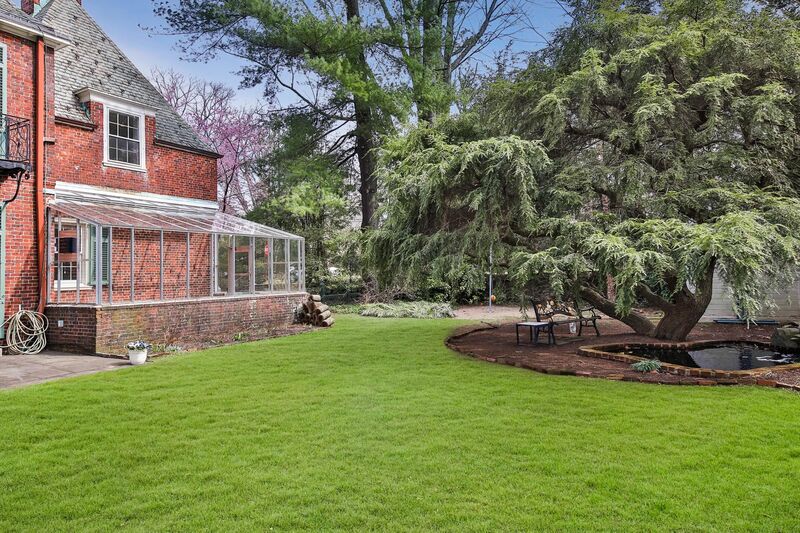 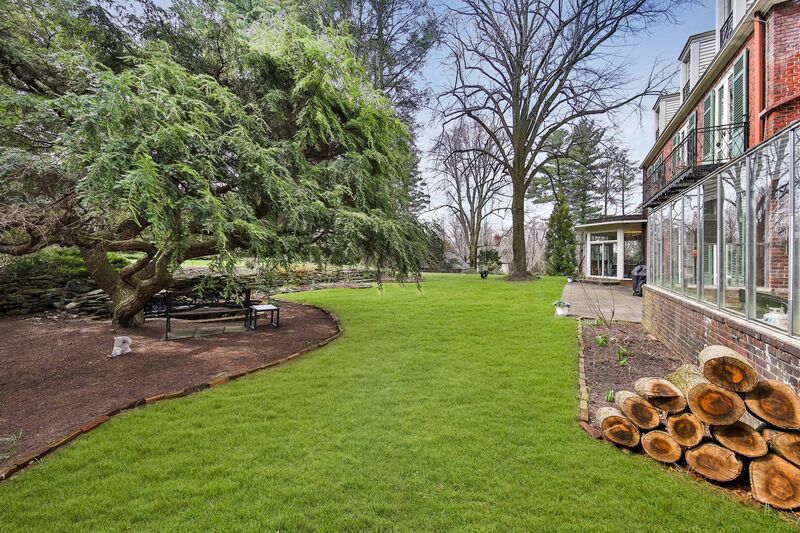 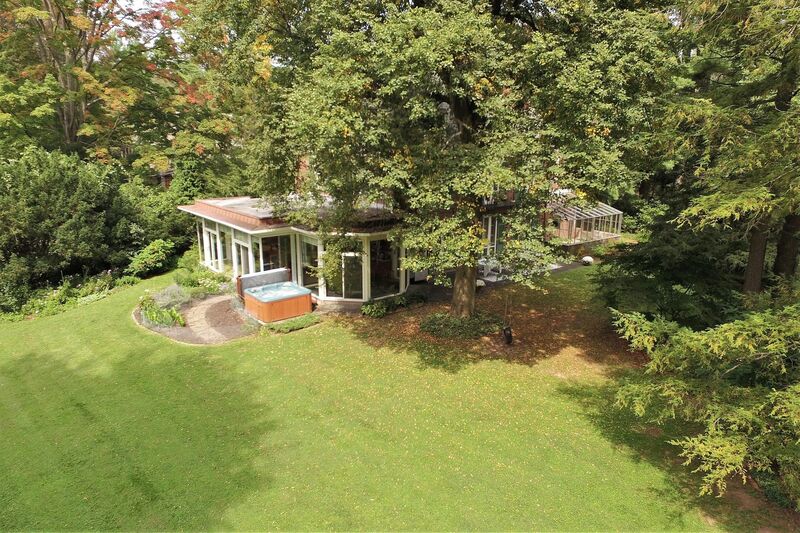 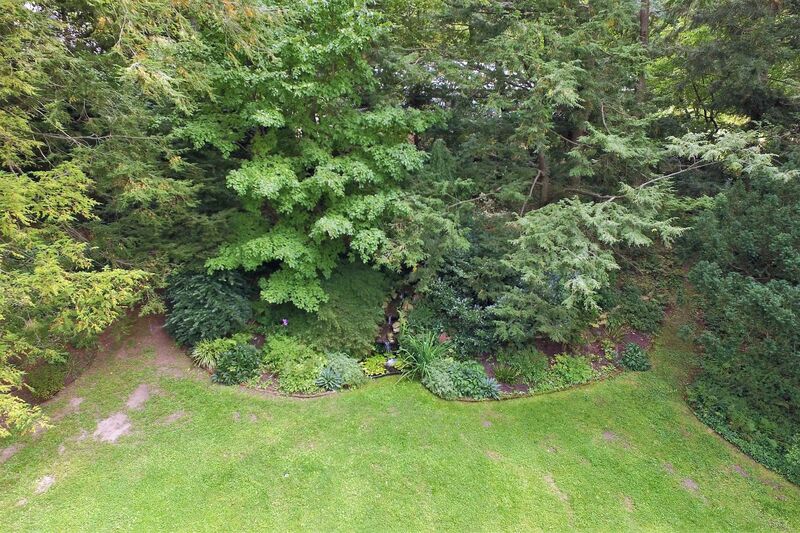 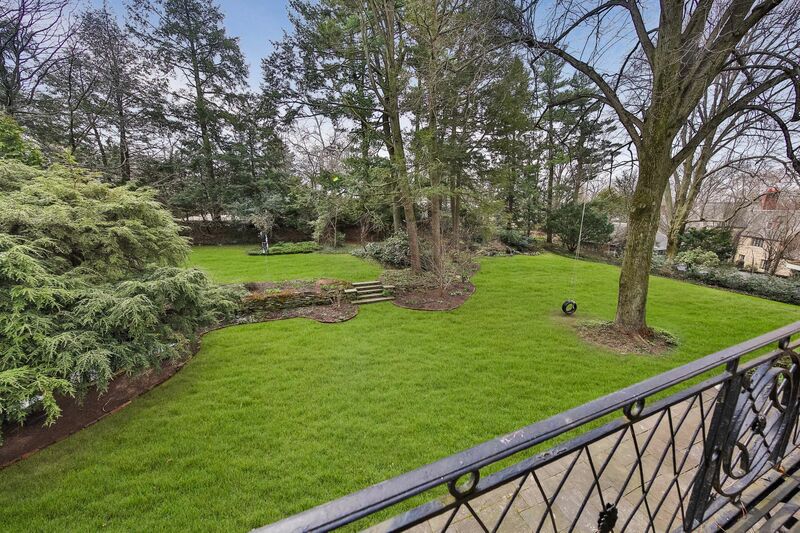 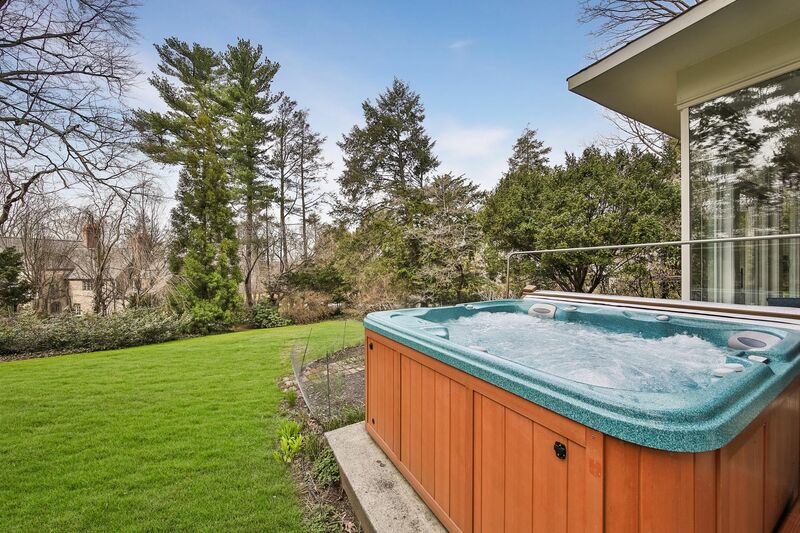 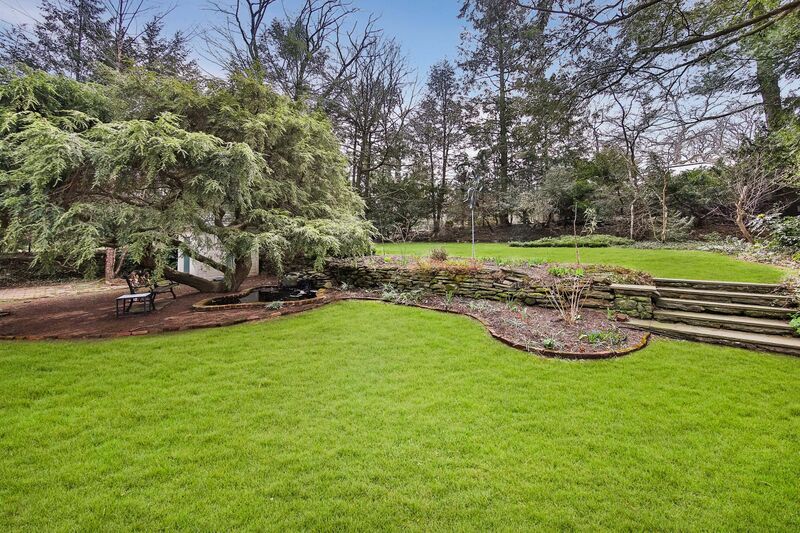 Your private backyard oasis of nearly an acre includes two waterfall ponds, one of which is shaded by a weeping hemlock tree. 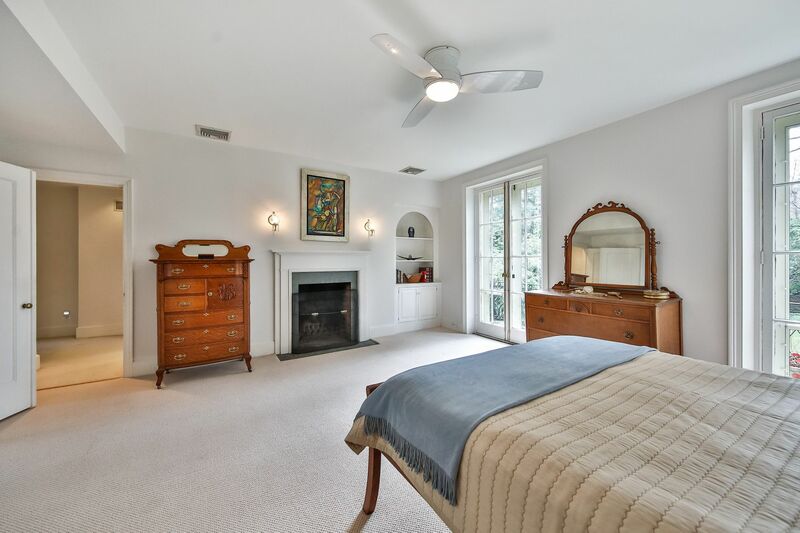 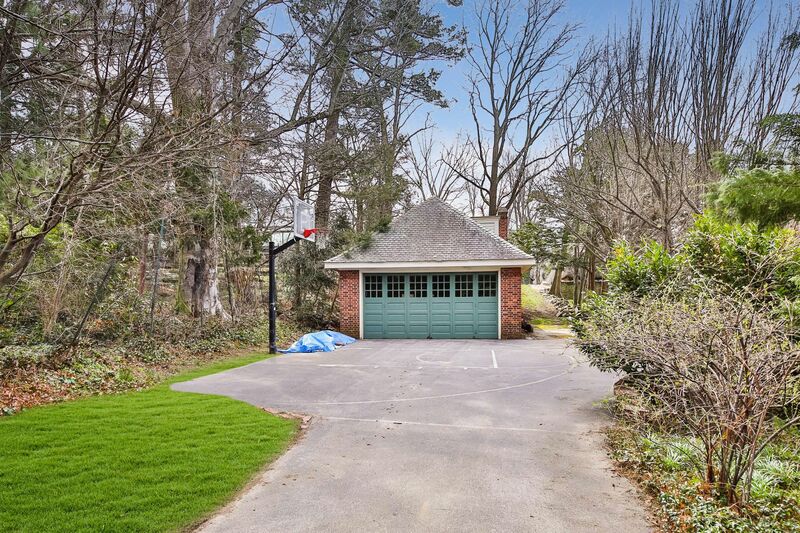 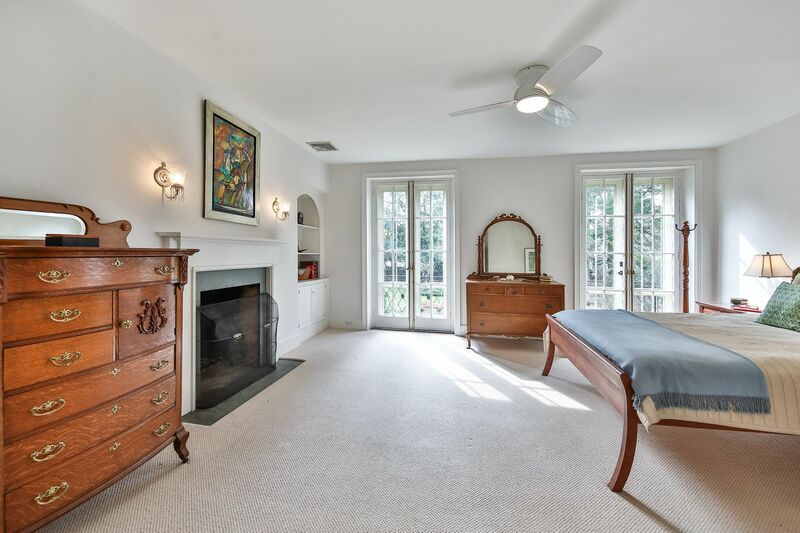 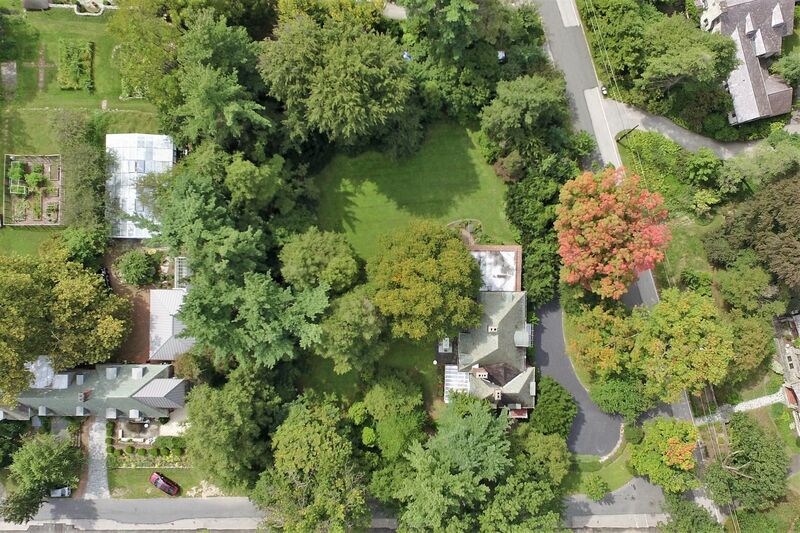 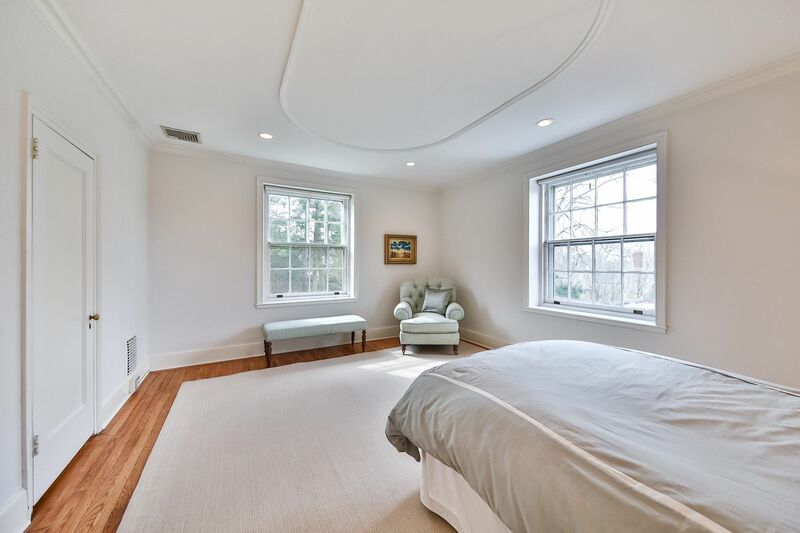 The spacious 2+ car garage with loft area is located down a tree-lined private drive complete with a basketball court. 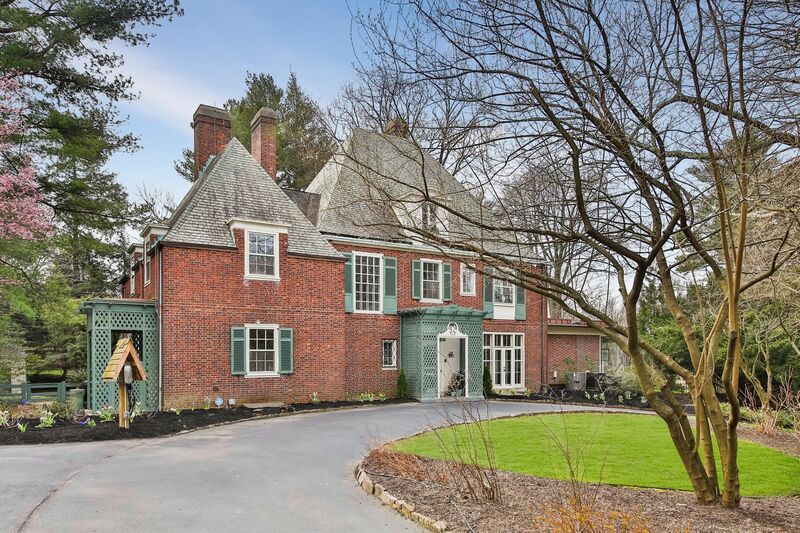 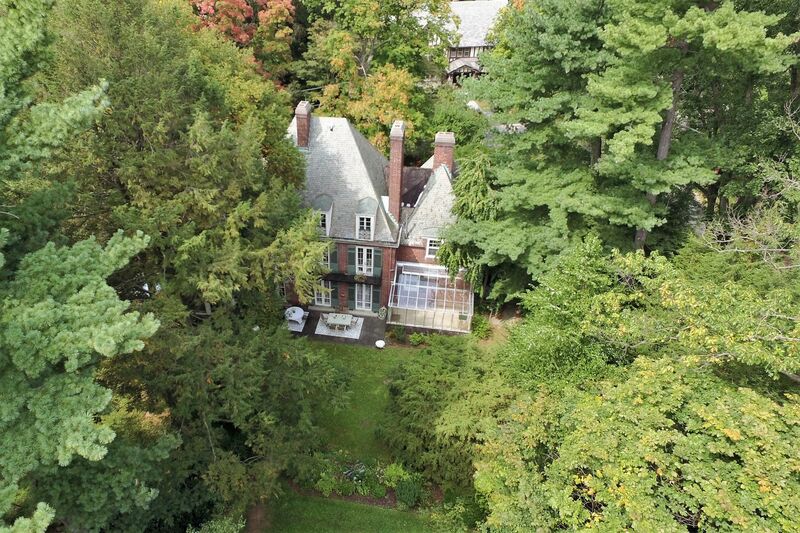 At the end of the street you’ll find yourself entering the Wissahickon trails, one of West Mount Airy’s favorite destinations. 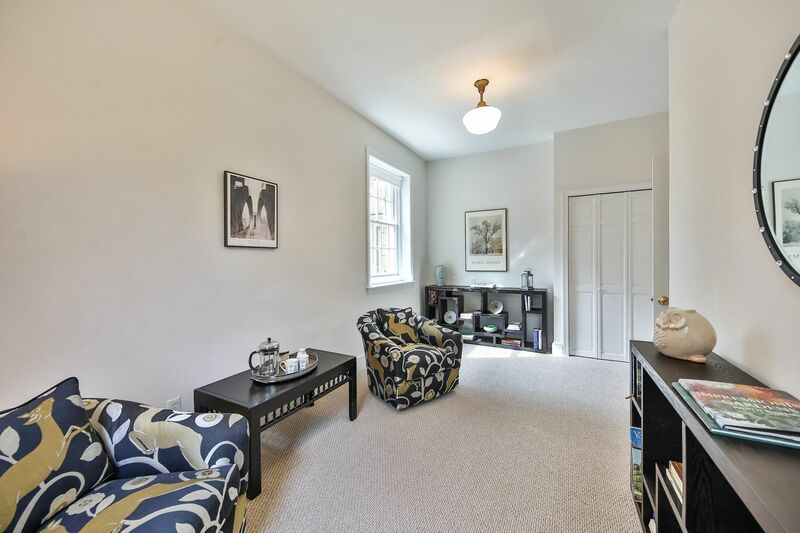 You’re also minutes away from all of the shops, restaurants, and places of worship that Mt. 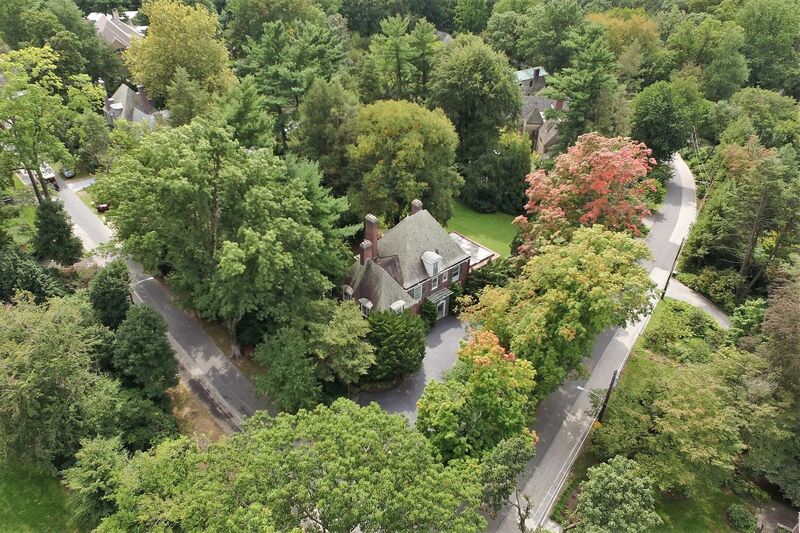 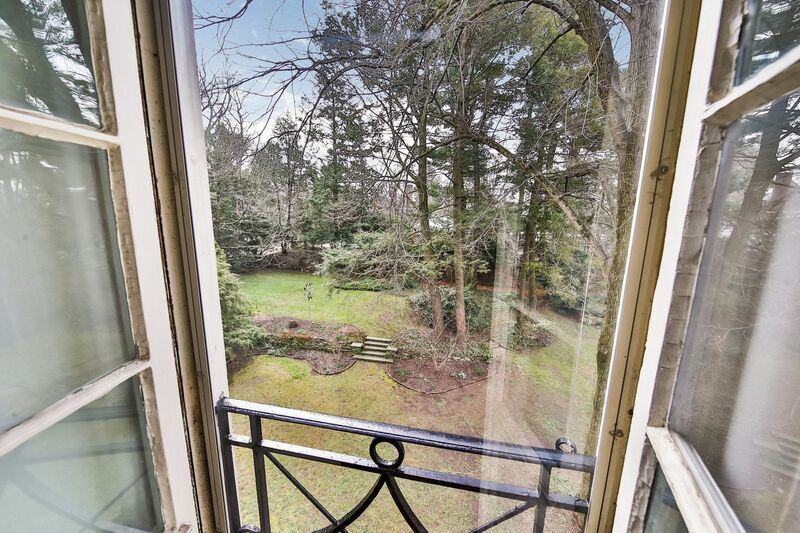 Airy and Chestnut Hill have to offer.